This year we experimented in our classes with drawing the notes on an article. (We had already taken written notes.) I used the information I gained from a TED talk to introduce the idea and I shared my drawn notes. 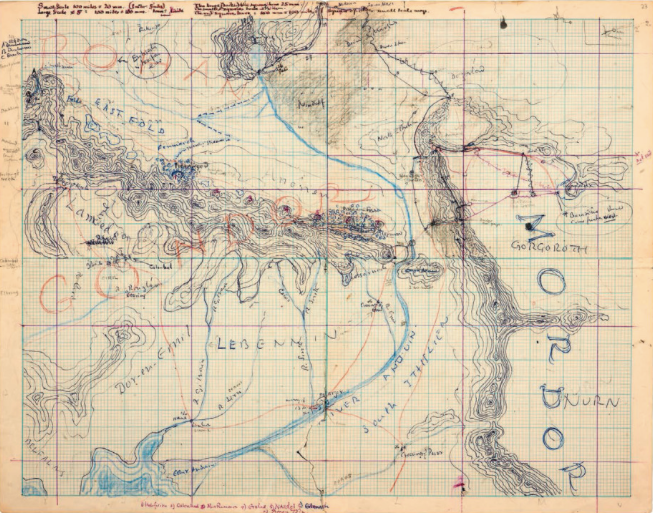 Today I was reminded of that experiment (somewhat successful and, at least, having no negative impact) by an article on JRR Tolkien drawing middle-earth. While I still think it is weird that the OED’s word of the year for 2015 is a pictograph (face with tears of joy), I think it is interesting that literacy seems to be moving towards images… What will the world read like in five hundred years.